You’ve honed your gaming skills to razor sharpness. You’ve used the six utilities that make a monster out of a milquetoast. Now it’s time to let the world see just how awesome you and your gaming rig have become. The following utilities let you record, play, and broadcast gameplay moments, and allow you to immortalize your triumphs on your favorite online gaming communities. Ever have a moment in a game that you wished everyone could see? Maybe it was the time the dragons in Skyrim started to fly backward. Or the afternoon you cleared out the airfield in DayZ without a suffering a single bite or bandit’s bullet. Windows itself handles static screenshots well, but if you’re looking to record footage, you have to crack open the toolbox. 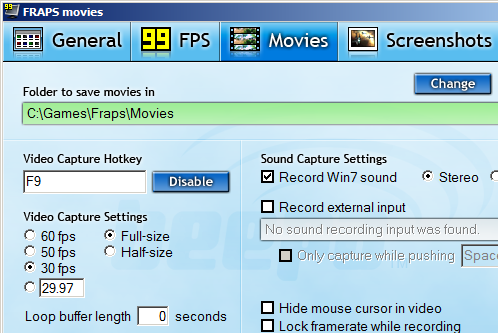 Fraps doesn’t offer much in the way of gameplay recording. Virtually every serious gamer is familiar with the venerable frames-per-second reporting tool Fraps. This handy utility also records gameplay footage in real time, even in its free incarnation (although it limits you to 30-second clips until you fork over $37 for the upgrade). However, the CPU usage is a bit on the high side, and features are limited. Other contenders offer distinct advantages. Action’s slick interface puts the others to shame, stylewise. 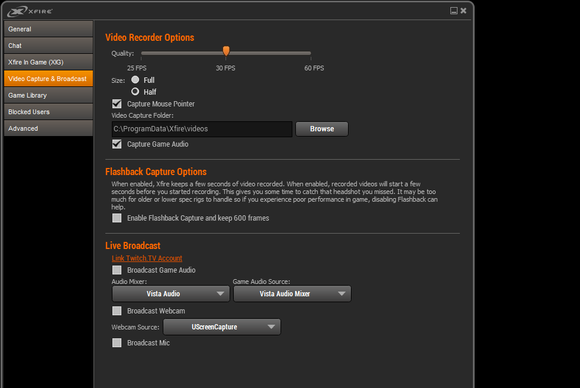 Action by Mirillis is screen-capture software on overdrive, sporting many options that Fraps lacks, such as audio-only and partial-screen recording as well as desktop capture (although you’ll need Aero enabled for that). Tests with Dishonored, Far Cry 3: Blood Dragon, and The Witcher 2 produced smooth recording of both audio and video at full 1080p resolution on a modest quad-core AMD Phenom II test system with Nvidia’s GTX 560 GPU (Action takes advantage of CUDA to speed up encoding operations). Action also includes a handy built-in thumbnail catalog and an AVI viewer, which employs Mirillis’s Splash media-player software technology. It even offers simple, no-frills streaming to some services such as Twitch.tv (see the discussion below). Its frames-per-second reporting features are less robust, but it includes an on-screen counter and recordable benchmark routines, which should satisfy most users. The slick, black-and-gray interface is a pleasure to use, as well. Action will set you back $30 for a home license, but you can download it and use it for free for 30 days before you buy. It has also passed Steam’s Greenlight approval process, and there you can find popular forums offering tips on performance and troubleshooting if something isn’t working right with your setup. Bandicam may not be easy on the eyes, but it is easy to use. My tool of choice, however, is Bandicam. It lacks the slick interface of Action, but it has all the features that count plus a few extra, including the option to select alternative codecs for video recording to keep file sizes from ballooning into multigigabyte disk gobblers. The Fraps test file I produced for this article came out at just under 2GB for 30 seconds of video. The Bandicam file, created at the same length and resolution, weighed in at 180MB. Impressive. Desktop capture doesn’t require Aero, either. Bandicam is cleaner and more straightforward than Action, making it quicker to pick up and faster to use. 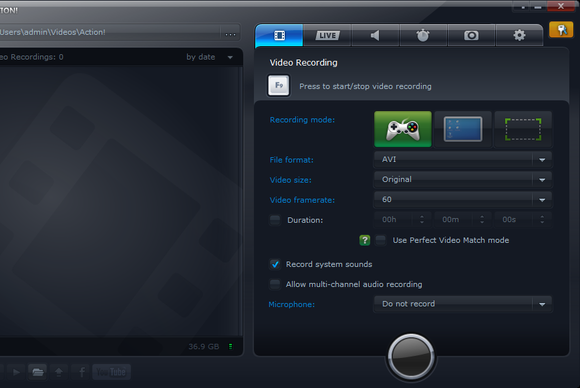 Moreover, the shareware license allows you a full 10 minutes of recording per session. Other than a watermark, the free version imposes no restrictions, which compares well to the 30 seconds of recording on Fraps and the 30-day trial with Action. Its main shortcoming is benchmarking: It supports only a simple frames-per-second overlay. Look at me! I’m on Twitch.tv! Keeping a library of pwnage on your hard drive or on your YouTube channel is cool, but you can find more appreciative audiences out there just waiting to celebrate your victories and make memes of your defeats. Twitch.tv, the gaming-centered offshoot of Justin.tv, remains the go-to source. Newbies, beware: The setup process is laborious, and you must install, register, configure, and coordinate several external tools to make everything work. Twitch.tv and its ilk act as portals to live content, but don’t do the actual job of capturing the gameplay video or uploading it to hosting servers. That’s the domain of specialized broadcasting software running on the local gaming rig. As with all professional tools, you have to pay to play with XSplit. The pros broadcast with XSplit, which has a monthly payment plan and boasts wide support among gaming-friendly streaming services. Unfortunately it has also garnered a reputation for its resource-hungry ways and finicky operation. 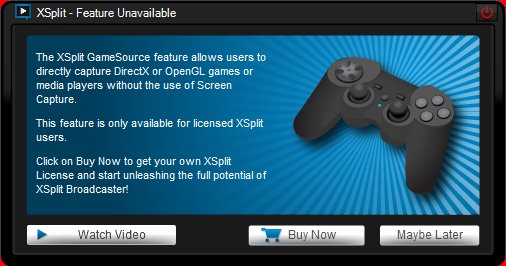 XSplit relies on slick touches such as live camera overlays, multiple input feeds, and other video-mixing features to stand apart from more hobbyist-oriented packages. As you might expect, the system requirements are pretty high for these tricks, although if you’re looking to turn your streams into revenue sources via eyeballs and ads, XSplit and Twitch.tv are the places to start. OBS makes popular broadcast-destination presets available via a drop-down menu in the settings. Open Broadcaster Software is the open-source answer to the needs of streaming gamers. Despite undergoing some growing pains, it remains an excellent alternative to the more commercially oriented packages mentioned here. Sitting at the opposite end of the ideological spectrum from rental-software models such as that of XSplit, OBS bares its source code for all to see and costs nothing to download or use. The fruit of this approach is a rapid evolution in stability and features since the program’s initial release less than a year ago (although some issues remain, so a visit to the active user forums seems a wise precaution). OBS supports RTMP streaming and includes presets for popular gaming destinations such as Twitch.tv, so setup is relatively painless. The drawbacks of its rapid open-development cycle are also apparent, manifesting in uneven but acceptable frame rates and occasionally glitchy operation. Most users get along with OBS just fine, though, so it’s worth a look. Keep in mind that it is beta software, so you shouldn’t expect much hand-holding. Game streaming settings in Xfire allow you to link to your Twitch account. Xfire made its debut in 2002 as a combined IM and chat client paired with a multiplayer game server browser. Eleven years later, it remains a good destination for your on-screen antics. Over the years, Xfire the company has added various services to the core multiprotocol chat system, and Xfire the program now supports gameplay streaming, group voice chat, in-game Web browsing, and Xfire-hosted clans and guilds complete with ranks, play statistics, and gaming library listings. You can upload videos to your profile to share with friends and the wider gaming community, as well as broadcast live. Xfire also allows connections to streaming sites outside its own, including Justin.tv and Livestream. The Xfire client’s growing pains as a streaming tool are behind it, and although its performance isn’t on a par with that of the other utilities here, its frame rates are ultimately acceptable on midrange systems. The price remains right (it’s free), and Xfire does so much it shouldn’t be neglected, especially now that the revamped software is coming of age. 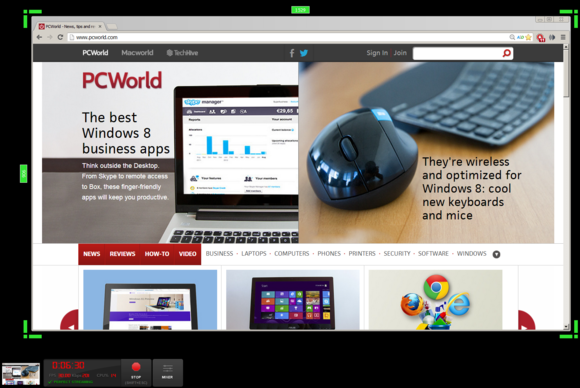 Cropped screen recording lets you share selected portions of your desktop on Livestream. Livestream may not be the most focused streaming community for gamers, but plenty of us wind up there, and it’s not hard to figure out why. Livestream’s free Procaster software is remarkably efficient and versatile, imposing minuscule overhead on the host system, so you don’t see the slowdown issues associated with other products. What’s more, the streaming framerate is superb, rarely dropping below 30 frames per second. Visual quality is also impressive (if a touch soft) at all reasonable bandwidth levels. 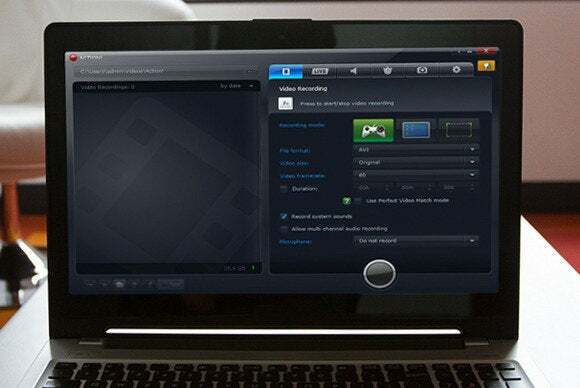 Although Livestream offers fewer community features compared to Twitch.tv or Xfire, Procaster does provide dedicated gaming modes. A free, verified account is the way to go, as it provides a 500-kbps streaming channel, 10GB of Web-hosting space for your recorded broadcasts, and unlimited viewers. The only problem with Livestream appears to be the direction of the company itself, as it split its service into “New” and “Original” flavors, predictably focusing on the former and having about as much success as Coke had back in the 1980s. As long as the Procaster software sticks around, however, Livestream will remain a contender. It has never been easier to get out there and share your virtual exploits with friends and interested gamers across the globe. No matter what your focus, technical level, or budget, there’s a service or software package waiting to turn you into the next gaming superstar. See you on the leaderboards—and remember, if you can see the red dot, it’s already too late. Open source alternative to the monthly subscription video streamers. Expensive and difficult to configure, but what the pros use for screencasting. The top competitor for FRPS. Play your game with an internet audience, sharing the view at full speed.